Enjoy this 16 oz. 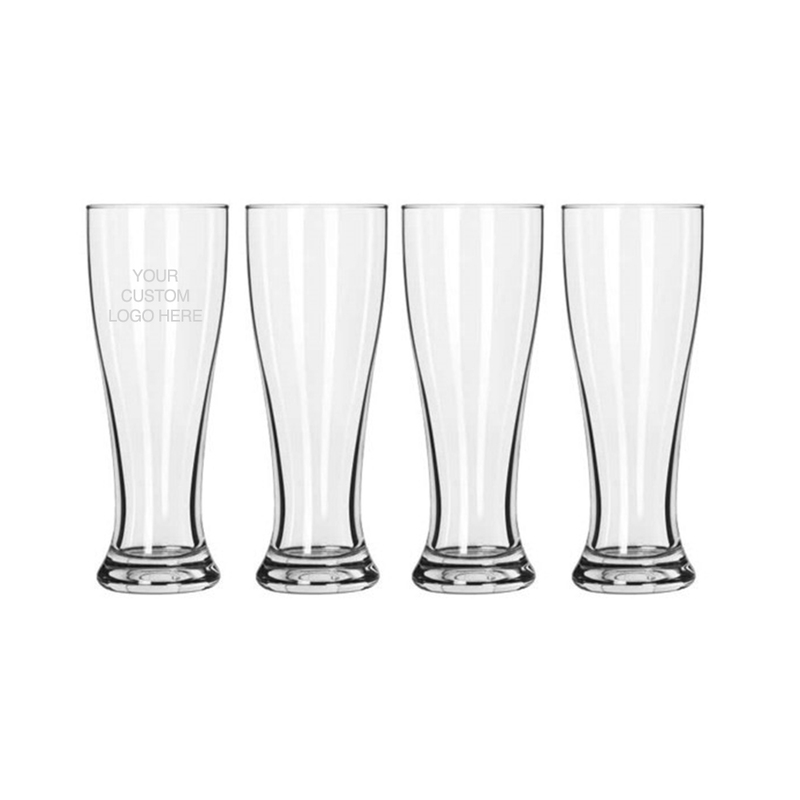 classic Pilsner glass customized with your finely etched logo on each mug. 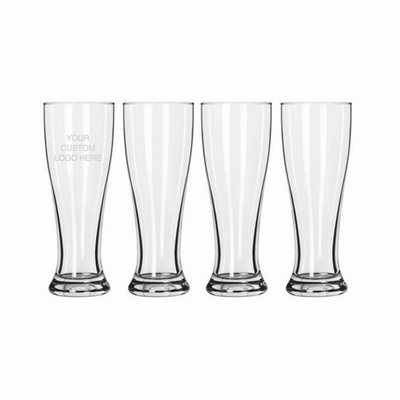 These glasses are sold as a set of four.